AsiaSat 8 in orbit. Graphic c/o MDA. BC based MacDonald Dettwiler (MDA) subsidiary Space Systems/Loral (SSL) and Asia Satellite Telecommunications Company Limited (AsiaSat); have publicly announced a manufacturing agreement for the next generation AsiaSat9 satellite. As outlined on the December 16th, 2013 press release "SSL Selected to Build High-Power Multi-Mission Satellite" on the AsiaSat website, the new contract will cover satellite construction costs and is a logical follow-ons to five previous SSL contracts, including the construction contracts for AsiaSat6 and AsiaSat8. Expected to launch in 2016, the multi-mission satellite will not only be used for television broadcast, and broadband services across the Asia Pacific, but will also host a host a commercial meteorology payload. Known as the Sounding and Tracking Observatory for Regional Meteorology (STORM), which will be a hyperspectral sensor designed to provide high-resolution soundings of atmospheric conditions, including temperature and humidity, for weather forecasting and storm tracking. STORM is based on NASA's cancelled Earth Observing 3 (EO3) mission, which was designed to use a Geosynchronous Imaging Fourier Transform Spectrometer (GIFTS). 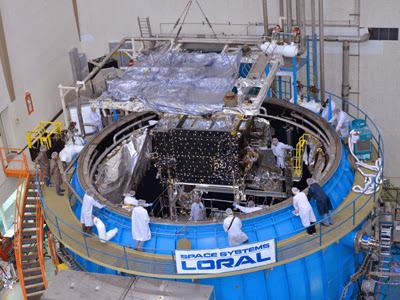 AsiaSat6 being tested in the SSL thermal vacuum testing chamber in August 2013. AsiaSat6 is expected to launch in the second quarter of 2014. Photo c/o AsiaSat. Located at 122 degrees East Longitude, and designed to replace AsiaSat4, AsiaSat9’s mission flexibility is unlike those of its predecessors. Its services will be provided to several Asian markets, with much higher performance and sophistication than the other AsiaSat satellites. 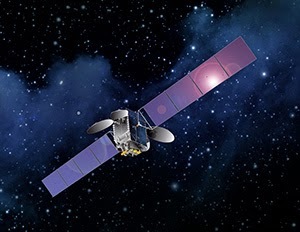 The technological basis for the SSL built AsiaSat's are based on the SSL 1300 series space-proven satellite bus, known for its quality, performance, and history of reliability. Working with GeoMetWatch Corp, based in Utah, the STORM sensor on AsiaSat 9 will be the first of six instruments, and will be sending back important, and previously unavailable, weather data. Asia Pacific has been, and will continue to be hit by terrible tropical storms, but with the help of this new technology, tracking severe weather and atmospheric instability and analysis is possible. “STORM will provide significantly earlier warning for severe weather and climate instability, and it will do so faster, more frequently and with finer detailed measurements than any capability in orbit today,” said David Crain, Chief Executive Officer of GeoMetWatch. The manufacturing of next generation, flexible, and reliable satellites is a sector Canada has been succeeding in, and time can only tell if it stays as such. From all of us to all of you, the Commercial Space blog wishes for everyone, the very happiest of holiday seasons. We'll be taking the next week off to celebrate with friends and families. We'll also be preparing for the next Canadian Space Commerce Association (CSCA) meeting on Thursday, January 16th, 2014 at the law offices of Blake, Cassels & Graydon LLP and the upcoming CSCA national conference in Toronto, scheduled for March, 2014. But never fear, for after our short period of downtime, the blog will return with all new stories, beginning January 7th, 2014. Until then, here's a bouncy rendition of the popular 16th century Christmas carol titled "We Wish You a Merry Christmas," courtesy of the Greece based metal band Orion's Reign. Enjoy! Then Federal Industry Minister Christian Paradis being interviewed by host Don Martin on the January 9th, 2013 edition of the CTV News program Power Play. 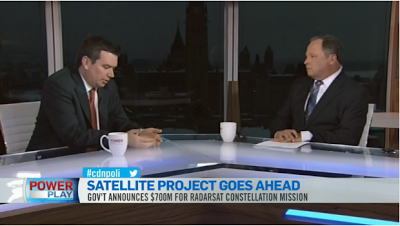 The year certainly started off with a bang for Canada's largest space company as BC based MacDonald Dettwiler (MDA) tied down the final funding for the long delayed and seriously over budget RADARSAT Constellation Mission (RCM). 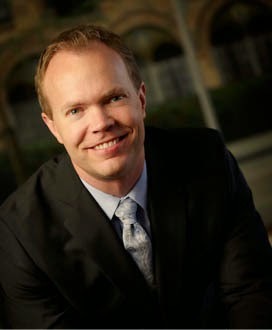 As outlined in the January 12th, 2013 post "A $706M Fixed Price Contract and Hard Launch Date for RADARSAT Constellation," the final agreement covered the completion of the "phase D" or final construction costs, plus launch costs, operational costs for the first year and even a contractual requirement to "launch the (three) satellites in 2018." RCM, originally expected to cost well under $600Mln CDN ended up costing well above $1Bln CDN mostly because it originally functioned under a series of so called "cost reimbursable" contracts where all direct expenses incurred by RCM contractors were covered automatically and a predefined profit (generally a percentage total of the overall contract) was added on top of the total cost. Of course, nothing is ever 100% and some of the details of the final transaction weren't worked out until much later, as illustrated by the September 20th, 2013 post, "Was the Magellan Contract for RADARSAT Constellation a "National Policy?" But as the space industry celebrated its greatest success so far, the writing was on the wall for Canadian Space Agency (CSA) president Steve MacLean. 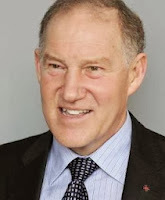 As outlined in the January 19th, 2013 post "Praising Steve MacLean," any initiatives deriving from the original mandate of Industry Minister Jim Prentice in 2008 to "make sweeping changes at the CSA" had essentially been superseded by a lack of action and by the November 2012 arm's length Federal government mandated Aerospace Review. Chaired by former politician David Emerson, the Aerospace Review called for an entirely different series of actions, and essentially undercut any authority MacLean may have ever possessed. MacLean managed to hang on tenuously to his job only until February 1st, 2013 when he quit abruptly and was replaced, first by CSA Director General of Space Exploration Gilles Leclerc and later by retired general and former Canadian Forces (CF) Chief of Defence Staff, Walter Natynczyk. As for the Aerospace Review, the majority of the Volume One recommendations covering the aviation industry were addressed over the next few months (as per the March 24th, 2013 post "Emerson's Space Plan Versus the Canadian Budget") and the Volume Two recommendations, which covered the space industry, were also addressed (although less favorably) before the end of the year. While seven satellites went into orbit aboard the Indian Space and Research Organization’s (ISRO) Polar Satellite Launch Vehicle (PSLV) flight C20 on February 25th, 2013 and the majority of the credit for the successful launch certainly belongs with the ISRO, at least one Canadian organization also benefited handsomely. According to the February 25th, 2013 post "The Real Winners of the PSLV-20 Rocket Launch," the University of Toronto Institute of Aerospace Studies (UTIAS) Space Flight Laboratories (SFL), built two of the satellites (the CanX-3a BRIght Target Explorer and the CanX-3b TUGsat1), tested and helped launch another (the third in a series of Aalborg University Cubesats or AAU-Cubesat3) and even helped to develop the methodologies used to build two more, the Department of National Defence (DND) Surveillance of Space (Sapphire) satellite and the Near-Earth Object Surveillance Satellite (NEOSSat). UTIAS SFL would go on to launch several more Canadian built satellites before the year was out. In March, MDA decided it didn't have enough money. 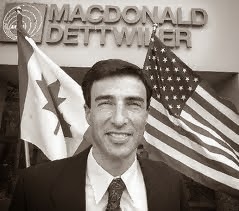 As outlined in the March 10th, 2013 post "MacDonald Dettwiler to Issue $250M Stock Offering," the company reacted to this revelation by announcing an agreement with a syndicate of underwriters led by RBC Capital Markets, BMO Capital Markets and TD Securities to issue $250Mln CDN in new common shares. The proceeds from the sale were expected to be used by MDA to reduce outstanding bank debt and "support future growth opportunities." In April, a small Canadian company, essentially unrecognized at home, was singled out for praise by the international space community. According to the April 13th, 2013 post "Canadian based Mediphan Inducted into Space Technology Hall of Fame," the company, a division of Ottawa based Epiphan Systems was inducted into the Space Technology Hall of Fame on April 11, 2013 during the 29th National Space Symposium in Colorado Springs, for the commercialization of medical technology originally developed by NASA aboard the International Space Station (ISS). The firm was created "as a special unit to develop audio video capture, streaming, recording, and replay products and technologies for telemedicine and remote guidance applications." Also in April, in an effort to ease communications overcrowding in the far north, Telesat launched the Anik G1 satellite. As outlined in the April 15th, 2013 Universe Today article "Anik G1 Satellite Aims To Ease Communications Overcrowding," the new satellite was designed to "ease the strain of overcrowded communications networks in Latin America, while adding capacity to direct-to-home services in Canada and government and military users across the Americas." Throughout the year, the small but growing global community of space miners and in-situ resource utilization experts continued to visit Canada and not just for the weather. As outlined in the May 10th, 2013 post "Space Miners Meet in Toronto, Again," Canada is expected to continue to take an important, but mostly non-public role, as the new industry opens up. In what was perhaps the last hurrah of the CSA astronaut corps for the foreseeable future, Canadian Chris Hadfield returned from his five month journey aboard the ISS as a triumphant and well known celebrity. As outlined in the May 18th, 2013 post "And Now: Back to our Regular Scheduled Space Programming," Hadfield performed admirably in the role of reminding us why we should explore the universe in the first place. The privately held UrtheCast reverse takeover (RTO) of publicly traded Longford Energy Inc., intended to culminate in a publicly traded company focused on streaming high-definition video from the International Space Station (ISS), began moving forward in June. As discussed in the June 10th, 2013 post "UrtheCast Proceeds with Takeover and Funding for ISS Camera's," a reverse takeover (RTO), or acquisition of a public company (in this case Longford) by a private company (UrthCast), was done so that the private company could bypass the lengthy, expensive and complex process of going public. 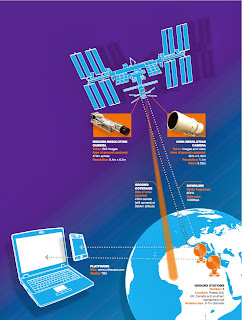 UrtheCast completed the reverse takeover within the month and went on to launch two digital cameras to the ISS in November 2013. The Microvariability and Oscillations of STars (MOST) space telescope. As outlined in the June 30th, 2013 post "Happy 10th Birthday MOST," June also included the 10th anniversary of the launch of the still functioning Microvariability and Oscillations of STars (MOST) space telescope. MOST, the first spacecraft focused on astroseismology (the study of the internal structure of pulsating stars by the interpretation of their frequency spectra), was also designed to use variations in stellar brightness to detect extrasolar planets in much the same way as the later French COnvection ROtation and planetary Transits (COROT) mission and the NASA Kepler Space Observatory and seems to have outlasted both of its better funded competitors. In September 2013, the Canadian space industry was saddened by the death of one of the pioneers. 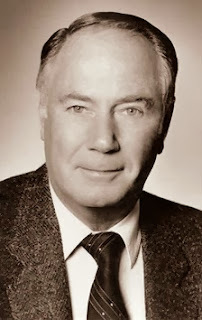 As outlined in the September 28th, 2013 post on "Dr. Philip A. Lapp: 1928 - 2013," his active participation as leader of the Alouette team that built the first Canadian satellite helped Canada become the third nation in space, after the USSR and the United States. Lapp also co-authored a document entitled “Upper Atmosphere and Space Programs in Canada.” The document, written in 1967 and now known simply as the “Chapman Report,” recommended using Canadian satellite and space technology for commercial activities such as communications and resource management instead of focusing only on scientific research. Over time, the report became Canada’s original blueprint for space activities and remains an important reference document to this day. But September was also a good month for both for both NewSpace advocates and champions of the Canadian space industry, with substantial domestic contributions to both the SpaceX upgraded Falcon-9 demonstration mission launched on September 29th from Vandenberg Air Force Base, and the successful docking of the first Cygnus orbital resupply mission to the International Space Station (ISS) earlier the same day. As outlined in the September 29th, 2013 post "Falcon Flies, CASSIOPE Orbits, Cygnus Docks & Fresh New Politician Pontificates," the launch of the Canadian designed and built Cascade SmallSat and Ionospheric Polar Explorer (CASSIOPE) satellite weighed heavily on the shoulders of SpaceX Founder and CEO Elon Musk, who expressed relief when the mission finally succeeded. In November, after three months on the job, new CSA president Walter Natynczyk finally gave his first public presentation to generally positive reviews, but also went to great lengths not to say anything of note. As outlined in the November 18th, 2013 post "Space Leaders in Ottawa: The 2013 Canadian Space Summit," Natynczyk made no concrete policy statements, other than to say that space research and development should continue to be done via universities with government funding rather than by government itself. Natynczyk also stated that the CSA was in discussions with various government ministries to implement various recommendations, but declined to mention anything specific, except to note that a new plan of action would be released early in the new year. Of course, the Federal government almost immediately followed up on the Natynczyk presentation with a far more concrete presentation from current Industry Minister James Moore. As outlined in the December 2nd, 2013 post "Industry Minister Responds to Emerson "Space" Recommendations," Moore provided commitments to partially implement some Aerospace Review recommendations including promises to maintain overall CSA funding "unchanged and at current levels" and to double the current support for the Space Technologies Development Program, a CSA program to provide initial funds for breakthrough technologies. Moore also promised that a "Space Policy Framework for Canada, which will guide Canada's strategic activities and future in space exploration, will be made public in 2014." 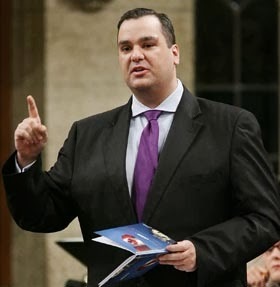 Current Industry Minister James Moore. And finally, perhaps in an effort to show that it was still capable of initiating activities, the CSA issued the December 20th, 2013 press release "Canadian Space Agency Awards $6.2M in Contributions to 5 Canadian Universities," which announced the results of its March 28th, 2013 Geospace Observatory (GO) Canada Announcement of Opportunity (AO). According to the press release, "Ten contribution agreements valued at $6.2 million over the next five years will be awarded to the Universities of Alberta, Calgary, Saskatchewan, and New Brunswick as well as with Athabasca University. These projects will allow Canadian scientists to better understand how space weather affects the ionosphere (the upper part of the atmosphere made up of ions and electrons) and the consequential impacts on technology." What's going to happen next year in space for Canada? Tune in beginning January 7th, 2014 to find out. 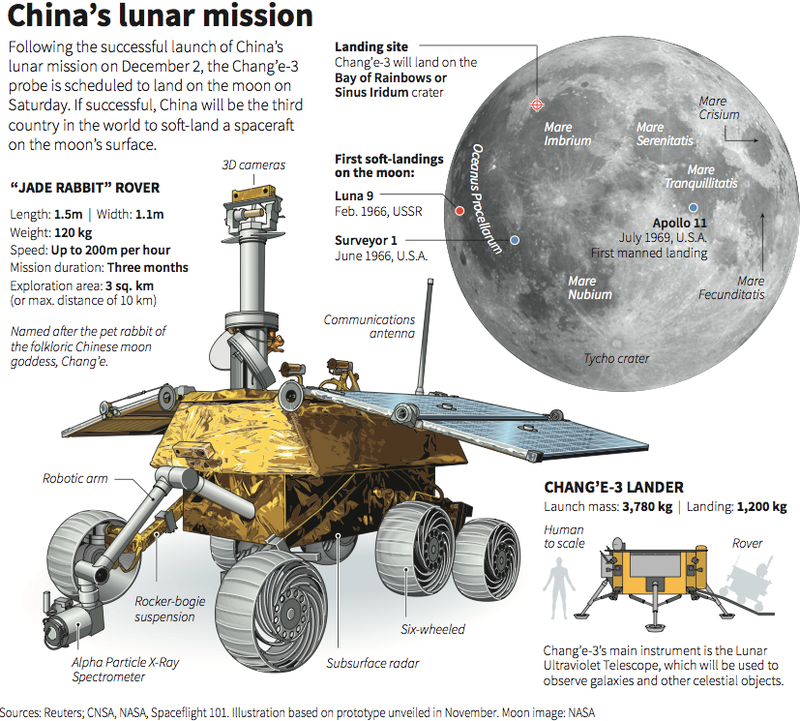 On Saturday, December 14th China’s Chang’e 3 lander and its Yutu rover touched down on the Moon. China, the third nation to visit the Moon after the US and USSR, is also the first to land a probe on its surface since 1976. Some chose to applaud this historic event and embrace it as an opportunity; others simply chose a smug silence. The Chang’e (a Chinese Moon Goddess) series of missions form the core of China’s Lunar Exploration Program. Chang’e 3 was preceded by the Chang’e 1 and Chang’e 2 missions and lays the foundations for future sample return flights planned for 2017, culminating in manned missions. Chang’e 3 centers around two pieces of hardware, a robotic lander (Chang’e 3) and a small lunar rover (named Yutu, or ‘Jade Rabbit’). 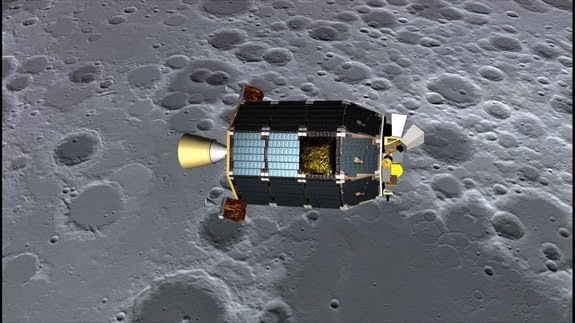 The lander draws its power from a combination of solar panels and a radioisotope thermoelectric generator (RTG), sustaining the craft throughout its three-month mission. The Chang’e 3 lander carries four scientific instruments: the MastCam, the Descent Camera, the Lunar-based Ultraviolet Telescope (LUT) and the Extreme Ultraviolet Imager (EUV). US coverage of the Chinese rover c/o FHM Magazine. The 120-kilo Yutu rover, equipped with a solar panel to power it during the lunar day, will explore a three sq. km area (out of a maximum range of 10 km) around the landing site. Yutu carries four instruments: the PanCam; the Ground Penetrating Radar (GPR); the VIS/NIR Imaging Spectrometer (VNIS); and the Alpha Particle X-Ray Spectrometer (APXS). The PanCam will capture HD video and 3D images of the surrounding terrain and geological features as well as monitor the structural health of the lander. The GPR will measure lunar soil depth and the structural distribution of soil, magma, lava tubes and sub-surface rock layers. The VNIS and APXS will analyze soil samples scooped up by Yutu’s robotic arm for mineral/water content. The data gained from these various instruments will be essential to China’s future plans for harvesting lunar resources. 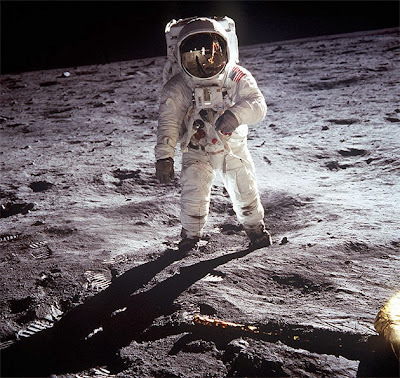 In Western mainstream media, reaction to China’s moon landing has been mostly indifferent. The landing was ignored by most US news sites and networks (though notably receiving a brief write-up on CNN.com) while receiving scant coverage on the BBC. Other public comments on many news sites often reflected either a “been there, done that” mentality, dismissed Chinese technology as vastly inferior, or degenerated into typically bigoted Internet diatribes. Canadian websites provided better coverage, with the CBC picking up the December 15th, 2013 Associated Press articles on "China's flag-bearing rover photographed on moon" and a second article focused on "China's moon rover leaves traces on lunar soil." 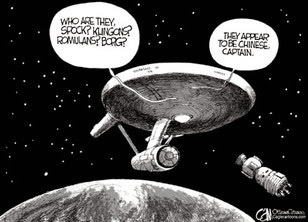 CTV.ca contributed the December 15th, 2013 article "Moon landing: China makes impressive advancement in space." The Chang'3 lander is a surprisingly large and comprehensive first step towards the announced Chinese goal of landing a taikonaut on the Moon. Image c/o Business Insider. Others have chosen a more far-sighted approach. The European Space Agency (ESA) has cooperative agreements in place with China that give it access to the data from the Chang’e missions. The ESA has also aided China by providing access to its network of ground stations for telemetry and data transfer to/from Chang’e 3 and intends to cooperate with China on future missions to the Moon. And, as outlined in the December 13th, 2013 Hyperbola article "UK Government commits £80 million for bilateral space cooperation with China and India" the UK government has even committed funding. Those who argue that China is merely treading a path already walked by others (i.e. Lunar exploration) are missing a fundamental point; that no one else is currently walking this path. Other nations will observe China achieving its goals while the West continues to dither. China and those nations that partner with her will be the first to reap the benefits of lunar economic development. If former deadly enemies like the US and Russia can work together in space, it makes little sense to exclude one of the largest economies in the world. What new jobs, industries and wealth will we toss aside for the sake of smug superiority and false paranoia? The MaRS Discovery District, a well known not-for-profit corporation founded in Toronto in 2000 to commercialize publicly funded medical research and other technologies, has finally weighed in on 3D printing, with a generally positive and useful report. As outlined in the December 16th, 2013 blog post "Is 3D printing ushering in the third Industrial Revolution?" on the MaRS website, the new report, titled "Layer-by-Layer: Opportunities in 3D Printing" is an overview of how this technology is expected to affect manufacturing and various other industries in the near future. 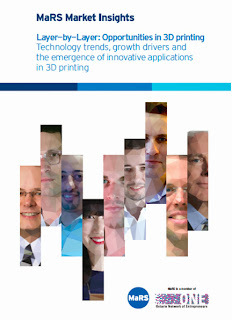 The report focused on the aerospace, healthcare and consumer markets as being the industries most likely to provide new opportunities for 3D printing methodologies and predicted an average industry growth at around 12% annually over the next five years. The report also discussed commercial opportunities for entrepreneurs and new investors, potential financing sources, viable business models and potential legal and copyright hurdles needing to be addressed. It even included interviews with seven Ontario-based companies involved with the development of 3D printing technology in a variety of areas including manufacturing prototyping, art, architecture and medical research. However, the report failed to mention the automobile industry, one of the largest current users of the technology (for prototyping) or the fast growing Canadian hackerlab movement with organizations like the Interaccess Electronic Media Arts Centre, the Kwartzlab Makerspace, the Makerkids non-profit workshop space for kids, Think|Haus, the Site 3 coLaboratory, UnLab and others currently utilizing 3D technology in a variety of innovative ways. 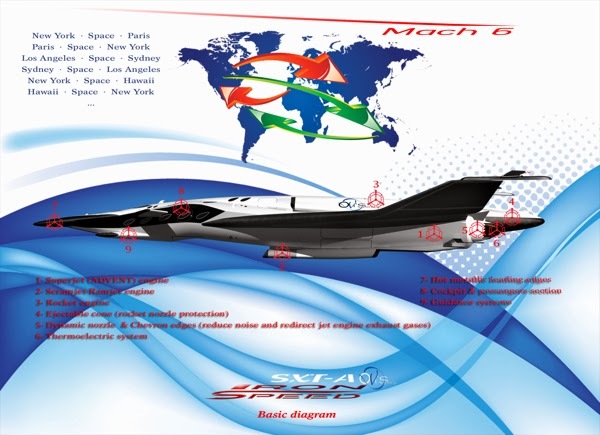 But while the effects of 3D technologies on the aerospace and space industry have been noted in a variety of recent posts including the December 12th, 2012 post "3D Printers, Additive Manufacturing, Aston Martins & Star Trek Replicators," the August 26th, 2013 post "3D Printing in Space Now With Holographic Controls" and the October 22nd, 2013 post "3D Metal Manufacturing Waiting for Patents to Expire," its good to see many of the concepts finally validated through the official Canadian eyes of one of our best known entrepreneurial ecosystems. We too often come to these sorts of parties grudgingly and too late to do any more than simply look on as the winners collect their spoils. Perhaps this time will be different. MG2 "White Bat" Spacecraft. Graphic c/o Oscar Viñals. According to Spanish based industrial and graphics engineer Oscar Viñals, up until a few years ago, space tourism was "utterly science fiction." But now, "with private operations already underway and queues of wealthy travelers lining up, this ultimate thrill-seeker’s adventure has become a reality." It's also become trendy and Viñals has celebrated this change with a series of design studies highlighting various different types of aerospace vehicles. These include the MG2 'White Bat" business transport, the MKS-1b LSJC Space Debris "Cleaner," the XGV-A "Orbiter," the MKS-1 "Space Launch System," the SXT-A "Iron Speed" hyper-sonic aircraft and quite a number of others. SXT-A "Iron Speed." Graphic c/o Oscar Viñals. The designs are featured in Yanko Design, a web magazine "dedicated to introducing the best modern international design, covering from industrial design, concepts, technology, interior design, architecture, exhibition and fashion." The publication, active since 2002, has been promoted in "high profile" media outlets as a leading edge industrial design publication, according to the Yanko Design website. The publisher, Japanese Canadian Takashi Yamada, was previously a consultant in the multi-billion dollar Japanese luxury industry. His clients included Louis Vuitton, Hermes, Bulgari and Richemont (a Swiss based luxury goods holding company founded in 1988, which includes Cartier, Alfred Dunhill and Montblanc). 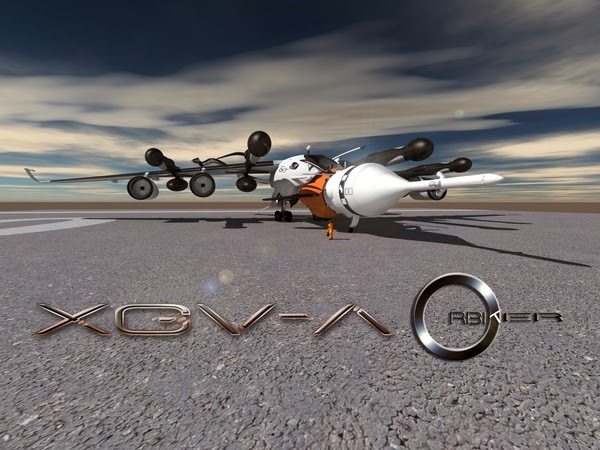 The XGV-A "Orbiter." Graphic c/o Oscar Viñals. 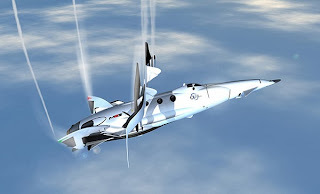 The Viñals designs have also been featured in the December 2nd, 2013 Trendhunter article "The White Bat Space Craft is for Business and Pleasure." Trendhunter, which bills itself as the "world's largest, most popular collection of cutting edge ideas," gave the topic high marks for trendiness, which seems reasonable enough given the graphics and obvious engineering expertise which went into the designs. It will be interesting to see how the old-fashioned and unstylish engineers and scientists who've shepherded the space age up until now end up bonding with their new, haute-coutured companions. Space Systems/Loral (SSL), a subsidiary of BC based Macdonald Dettwiler (MDA), has been bridging the gap between the commercial and government space sectors, through work on the Lunar Atmosphere Dust Environment Explorer (LADEE) lunar mission, and NASA’s Laser Communications Relay. The work has supported and demonstrated NASA's initiative to benefit from the commercial space industry, through the merging with SSL’s commercial technology. Space exploration has always been, and will continue to be, a costly and dangerous endeavor. In the past, the financial risk was borne solely by the taxpayers, who subsidized a program from initial development to completion. But present day development has resulted in increasing degrees of involvement from the private sector, which is now involved in either wholly funded initiatives, (examples include space tourism and various asteroid mining projects) or a hybrid model, which combines public money with commercial enterprise development such as the various SpaceX activities. Another example of such hybrid commercial collaboration is the partnering of SSL and NASA on LADEE. The propulsion systems technology was developed by SSL, and is used extensively in 74 other SSL-built satellites currently operating in geosynchronous orbit. LADEE also carries the Lunar Laser Communication Demonstration (LLCD) on board, which recently set a record for transmitting data from the Moon to Earth. The test embodied high data rate communications with the potential to transform communications from outer space. At 600 megabits per second, using only a 4-inch telescope and a 1/2-watt laser installed on the lunar-orbiting satellite, the system is ten times more efficient than any optical receiver ever demonstrated. Laser Communications Relay Demonstration. Graphic c/o NASA. 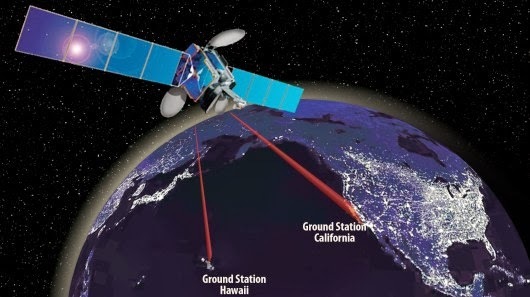 This successful demonstration is a necessary developmental step for another task that will be facilitated by SSL, which is the placement of a Laser Communications Relay Demonstration (LCRD) unit, on an SSL built commercial satellite. Sponsored by NASA's Space Technology Mission Directorate, and Human Exploration and Operations Mission Directorate, LCRD is a technology demonstrator combining commercial and government developments. It will be an enduring test bed to help transition optical communications technology into commercial operation. LCRD is expected to launch in 2017. Paralleling the developmental work in space communications, SSL is working actively to understand how laser communication systems can be adapted for commercial communication satellites. The high data transmission rate will allow near instant communication with any location on earth, for high demand applications such as video links, and will likely do so at a likely reduced cost. SSL is an outstanding example of a private corporation adapting publicly developed technologies for the commercial space industry to further benefit the wider earth-bound community. 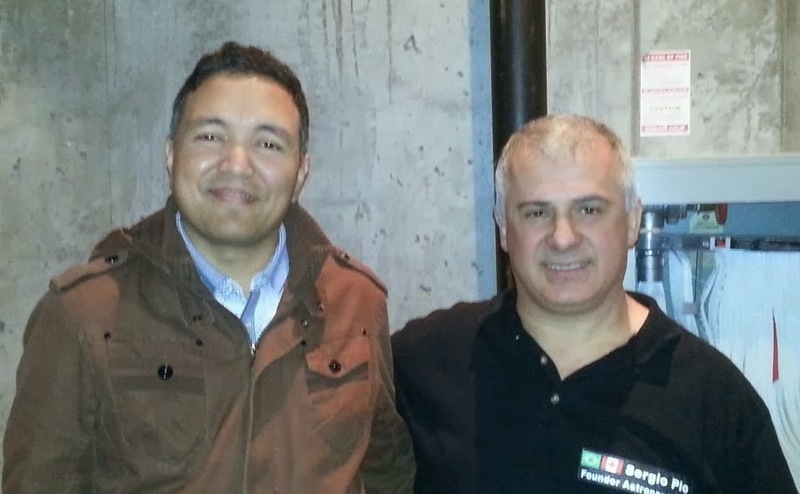 Upcoming ATC astronauts Milan Karki and Sergio Pio. On November 30th, I had the pleasure of coffee with two inspiring Torontonians who will journey into space aboard the XCOR Lynx spacecraft when the expected first flights begin over the next year. The introduction was kindly arranged by Leon Graafland, a travel agent with the Toronto office of the Adventure Travel Company (ATC), a firm specializing in trips to exotic destinations like Mt Everest, the Galapagos Islands and Antarctica. ATC has been selected to be the Canadian affiliate of the Space Expedition Corporation (SXC), a Netherlands-based company created to promote suborbital space tourist flights and scientific research missions. The first space tourist I spoke to was 48-year old Sergio Pio. Pio came to Canada over 20 years ago from his native Brazil in search of greater opportunity, starting his own catering business in Toronto. His kind, easygoing manner belie great drive and determination, qualities befitting a man who not only raised a family and built a successful business, but also found time to travel around the world. A true globetrotter, Pio’s travels have taken him to Italy, North Africa, India, Nepal, China and Australia (to name but a few). He credits his wanderlust to his first trip, with his father (who worked in a circus) to Argentina at the age of 19. A lifetime of travel has instilled a broad-minded spirit into Pio, who told me, “I believe in experience…even if I die, I believe this experience, I take it with me.” He hopes that by heading into space, he will not only have a great experience, but inspire others to as well. I next spoke to 36-year old Milan Karki. Karki came to Canada in 2001 to escape from police persecution he faced while working as a human rights activist in Nepal. Kharki established his own immigration law firm, Everest Immigration and Legal Services Inc., with offices in Toronto and Kathmandu. Through Everest, he has helped over 500 Nepalese come to Canada. 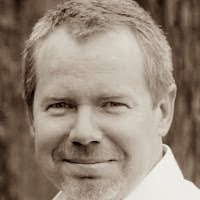 He is also an IT professional with his own IT consultancy, Titan Hub Inc. Either one of these professions alone would keep most people very busy, yet Karki has still found the time to attain his private pilots’ licence and work towards an MBA from Athabaska University. Kharki’s motivation to travel into space stems from his childhood. Coming from a poor mountain family, he dreamed of becoming an astronaut and eagerly poured through all the space-related material he could find in high school and college. Seeing no chance to follow that career path, he moved on. With the dawn of private space travel, however, Kharki sees a second chance to fulfill his boyhood dream. Beyond personal fulfillment, he also hopes to inspire people in his homeland. After his flight on the Lynx, Kharki plans to visit Nepal and lobby for the creation of a Nepalese space agency, capitalizing on the country’s close economic and military ties to both India and China---both rising space powers. Kharki believes that Nepalese could greatly contribute to both countries’ space programs, mirroring Canadians’ long history of participation in US and European space programs. With his determination (and, soon, a set of astronaut wings), I wouldn’t bet against him. "Travel is fatal to prejudice, bigotry and narrow-mindedness, and many of our people need it sorely on these accounts. 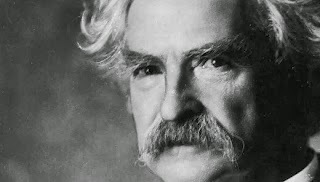 Broad, wholesome, charitable views of men and things cannot be acquired by vegetating in one little corner of the earth all one's lifetime," according to Mark Twain. Speaking with these two inspiring men struck a chord with me. As a child of immigrants, I heard echoes of my parents’ experiences in their stories. Immigrants must deal with many obstacles on their path to a better life, from poverty to racism to exploitation. Overcoming these struggles, they gain a broader perspective and an urge to achieve. Some people like to call space tourism a waste, a pointless pastime of the rich that squanders resources while the poor suffer. These same people forget that, once, the same was said about air travel. When I spoke to these two space tourists, I didn’t see nouveau riche. I saw the perfect ambassadors for space. Why? They gave me hope. The Carmat Heart. Photo c/o AP. The world’s first completely artificial heart, made with the same technology seen in the satellites soaring around the Earth, has been approved for human testing in Europe, and is expected to be transplanted into a patient before the end of the year. As outlined in the December 5th, 2013 press release from the European Space Agency (ESA) Technology Transfer Program office titled "Space in your Heart," the prosthetic is the result of 15 years of collaboration between inventor Alain Carpentier and aerospace giant Astrium, the space subsidiary of EADS. 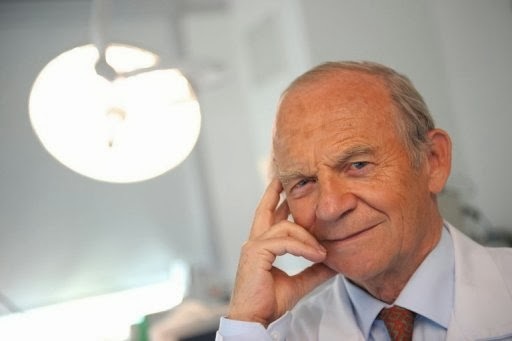 In 2008, with support from the French Government and investors, Prof. Carpentier founded the EADS spin-off company, Carmat, to complete the work. 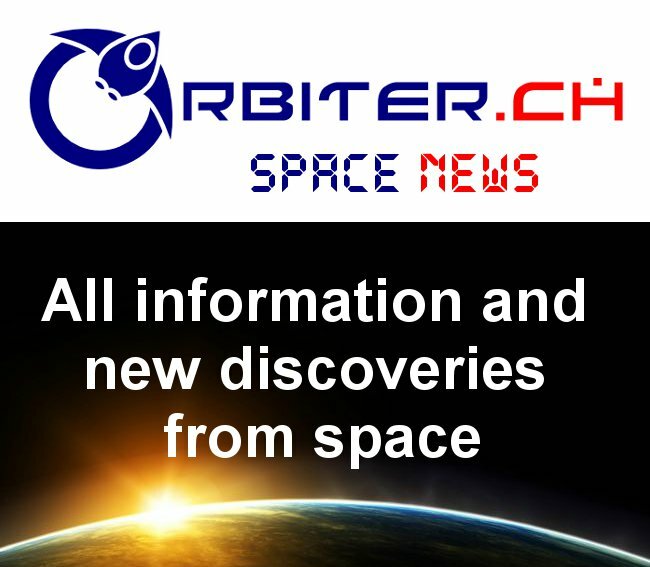 Utilizing world class satellite engineers and Astrium’s experience in building precise and durable space systems, Carpentier managed to fill the missing links observed in previous attempts at the artificial heart. A combination of biological tissue and miniature satellite equipment, the Carmat heart combines medicine, biology, and electronics to effectively imitate a real heart. “The fusion of space technology with medical and biological sciences to create a potentially lifesaving organ is not only a feat of human engineering, it’s also a great example of how advanced space technology and expertise can benefit our lives here on Earth in a concrete way,” said Tech2Market’s Claude-Emmanuel Serre. Tech2Market is a French based firm which has worked with the ESA in the past to commercialize space derived technology. “Failure in space is not an option. Nor is onsite maintenance. If a part breaks down, we cannot simply go and fix it. It’s the same inside the body,” according Matthieu Dollon, Head of Business Development for Astrium. Dependability is crucial for everything that goes up into space, which generally leads to space electronics having higher quality and durability than those from any other field. The testing and retesting of all these high quality electronics is done to extreme precision, leaving little room for error in something as important as a human heart. Of course, animal hearts do not all beat at the same speed at all times, as they vary depending on the level of exertion of the body. 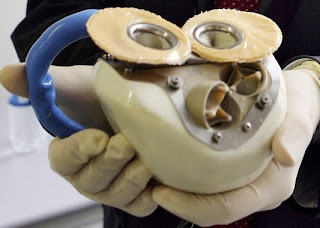 The average heart has to speed up and slow down several times a day, and this was a challenge that the team had to face in their artificial heart. Luckily, satellites must also make changes depending on the situation at hand, to react with changes in environment and temperature, as well as directing antennae and solar wings. This uncanny resemblance allowed Carpentier and his team to take advantage of the technology used by telecommunications satellites. Its worth noting that congestive heart failure is an international issue, with more than 100,000 individuals suffering without a cure, and occurs when the pumping action of the heart is not strong enough to move blood throughout the body. The only possible solution is an organ transplant, but availability is limited to roughly 4000 donors a year. This fully functional prosthetic heart has been the dream of cardiologists and heart patients for decades, and could not have been so easily possible without the help and expertise of the men and women in the space industry. Industry Minister Moore. Photo c/o Canadian Press. 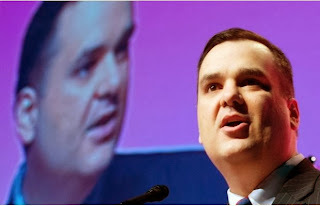 Industry Minister James Moore has finally provided a Federal government response to the second volume of the November 2012 arm's length, federally mandated Review of Aerospace and Space Programs and Policies. But while Federal initiatives derived from the first volume of the aerospace review (focused on the $27Bln annual Canadian aviation and aerospace industry) were substantial and included both a new $110Mln CDN Aerospace Technology Demonstrator Program (ATDP) plus an additional $1Bln CDN over seven years to maintain the ongoing Strategic Aerospace and Defence Initiative (SADI), it is unlikely that any of the initiatives currently on the table from volume two will provide an equivalent stimulus for the much smaller ($3.5Bln annually), but also much faster growing, Canadian space industry. Happy days are here again! 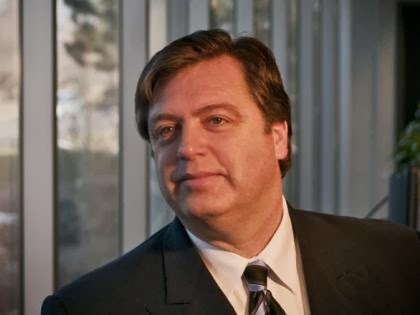 CSA President Natyzczyk now has a commitment from the government to "unchanged" overall funding and annual space advisory board meetings, which would include his boss, the Industry Minister. A promise to maintain overall the Canadian Space Agency (CSA) funding "unchanged and at current levels" which is certainly not equivalent to the aerospace review recommendation that "core funding be stabilized, in real dollar terms, for a 10-year period" and could be perceived as an erosion of funding once inflation is taken into account. A commitment to double the current support for the Space Technologies Development Program, a CSA program to provide initial funds for breakthrough technologies "to reach $20 million annually by 2015–16." This amount is substantially less than requested by the aerospace review, which recommended an additional $10Mln per year over each of three consecutive years, for a total of $30Mln in new funding, in addition to the existing $5Mln annual budget (as per page 41 of volume two of the aerospace review). The establishment of a "space advisory board" composed of industry leaders and chaired by CSA president Walter Natynczyk, with a mandate to report to the Industry Minister "annually." Terms of reference for the board have not yet been announced. The promise that a "Space Policy Framework for Canada, which will guide Canada's strategic activities and future in space exploration, will be made public in 2014." As outlined in the February 10th, 2010 blog post: "Ottawa Citizen: Where did that Long Term Space Plan Go?" the last Canadian space plan was written in 2005, and industry has been clamoring for a new one ever since. A ongoing acknowledgement of procurement problems and a lack of direction within government in general and the CSA in particular with regard to "Canada's space program and its role in advancing national priorities" (Page 32 of the second volume of the aerospace review). 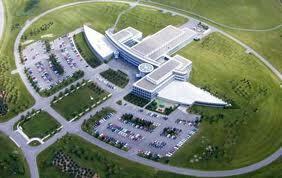 CSA HQ from the air..
A recommendation to narrow the CSA mandate to the point where it would no longer be a "policy-making body" or "directly involved in designing and manufacturing space assets purchased by the government." It would instead advise and support the Minister of Industry, act "as a technical supervisor" to project-specific committees and to the Minister of Public Works in order to help negotiate "co-operative agreements with other countries' space agencies," plus co-manage (along with the National Research Council) new space technology development. Under this recommendation, the CSA would continue to conduct its own research, operate its existing satellite inventory and maintain the Canadian astronaut program (Page 45 of the second volume of the aerospace review). A sense that the crop of current Canadian commercial space players has grown up "in an atmosphere of limited competition and in some cases, excessive reliance on government spending," with an acknowledgement that this needs to change (Page 26 of the second volume of the aerospace review). A recommendation for "encouragement" of commercial space activity. According to the report "some of these ideas may prove fanciful, but others may be visionary and produce tremendous profits for their proponents and the companies in which those proponents operate. The R&D support recommended previously (the CSA technology development program and others listed on page 41 of the second volume of the aerospace review) will help stimulate development of the most promising proposals, but its impossible to know with certainty whether a notion which appears unrealistic today might lead to tomorrows breakthroughs. Without endorsing specific speculative projects, public policies and programs can create the conditions for entrepreneurs and researchers to test and pursue creative approaches and, in so doing, jump start Canada's private space activity at a time when the global commercial space business is gaining momentum." (Page 43 of the second volume of the aerospace review). Comments on the need to develop an independent launch capability in order to avoid "delays, operational complications and cost overruns," especially in the case of the growing small-sat marketplace (Page 26 of the second volume of the aerospace review). Most of these points were last mentioned as part of the December 5th, 2012 post "What the Space Volume of the Aerospace Review Actually Says!" It's a shame that we've forgotten them so soon. Lets hope the government also remembers what the aerospace review actually said when the final budget comes down next spring. Two of the three SWARM satellites. Image c/o EADS. Canada is an important contributor to the European Space Agency’s (ESA) SWARM mission of three Earth observation satellites, with a little help from a Canadian firms state-of-the-art scientific instruments. 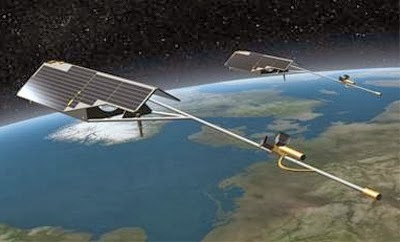 Cambridge, Ontario based COM DEV International designed, developed and tested the Canadian Electrical Field Instrument (CEFI) which was integrated into the instrument suites of all three satellites comprising the SWARM mission. The CEFI will collect information about the interaction of Earth's magnetic field with the solar wind and electric currents, and their effects on Earth. 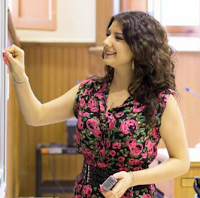 COM DEV deals with the manufacturing and design of technologically advanced space hardware. In the past couple years, COM DEV has built satellite equipment for several important international missions, such as Terra and CloudSat, and has technology on more than 900 spacecrafts. 80% of all commercial communications satellites launched to date have COM DEV technology on board. There is a CEFI on board each of the three satellites to collect information about the connection between Earth's magnetic field and the solar wind/electric currents. There are two types of sensors in all the CEFIs: the Thermal Ion Imagers and Langmuir Probes, providing high resolution imaging of the ion flow around the Earth, and measuring electron density. The Swarm mission hopes to shed light on one of the most important aspects of our planet’s survival: the magnetic field. Planning to map it to as much detail as possible, this 4 year long mission will give us an incredibly close-up look at the depletion of our global field, and even help find valuable resources from the magnetization of rocks. The global scientific community has addressed the importance of the Earth Explorer missions, such as Swarm, and Canada’s involvement is appreciated and recognized at an international level. 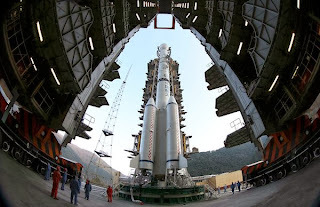 The Chang’e-3 atop a Chinese rocket on Sunday. Photo c/o Reuters. On the off chance that NASA and its traditional junior partners (including the Canadian Space Agency) might need yet another reminder of how the times are changing, along comes China. The Chang’e 3 lunar exploration mission, operated by the China National Space Administration (CNSA), successfully blasted off from southwest China today, and is expected to soft land a mobile rover on the Moon within the next two weeks. The mission will be the first such landing by any country since 1976, when the Soviet Union Luna-24 probe soft-landed in the Mare Crisium (Sea of Crisis) and then returned to Earth with 170.1 grams of lunar samples. The last US mission to the Moon was the Apollo 17 manned landing in December 1972. ... responded to the launch from the Xichang Satellite Launch Center with an outpouring of jubilation. That is likely to reach a crescendo in about two weeks, when the landing vehicle is scheduled to descend on the moon and release the Jade Rabbit, or Yutu, robotic rover to start sending back data and pictures from Sinus Iridum, or the Bay of Rainbows, a basaltic plain formed from lava that filled a crater. The article also pointed out that Chinese space activities generate skills which enhance the country’s science, satellites and military programs. A five year program for Chinese space exploration, announced in December 2011 also included plans for launching a space lab and collecting samples from the moon, along with a more powerful manned spaceship and space freighters. China has also vowed to put an astronaut on the Moon before the end of this decade. US based companies are also contributing to Chinese space successes. As outlined in the December 1st, 2013 MoonandBack.com post, "Moon Express and Chinese Collaborate on Moon Mission Science," Google Lunar X-Prize competitor Moon Express, a U.S. commercial lunar enterprise, is enabling scientific collaboration between the International Lunar Observatory Association (ILOA) and China’s Chang’e-3 Moon mission. According to Moon Express CEO (and Canadian expatriate) Bob Richards “We are beginning a new era of commercial lunar exploration." There's no doubt Richards is right, but only time will tell if the Chinese reach ever ends up exceeding the Chinese grasp. Until then, wise Canadian space entrepreneurs will note the new markets opening up for space related products and services, and react accordingly. The UrtheCast plan. Image c/o Focus. Two high definition cameras designed to stream detailed views of Earth from the International Space Station (ISS) blasted off into space today. One still and one video camera, each designed and built by BC based UrtheCast launched at 3:52 p.m. ET from the Baikonur Cosmodrome in Kazahkstan, aboard an unmanned Russian Progress spacecraft poised atop a Soyuz rocket. As outlined in the November 25th, 2013 UrtheCast press release "UrtheCast Successfully Launches its Cameras into Space," the two cameras are scheduled to arrive at the ISS on November 29th. 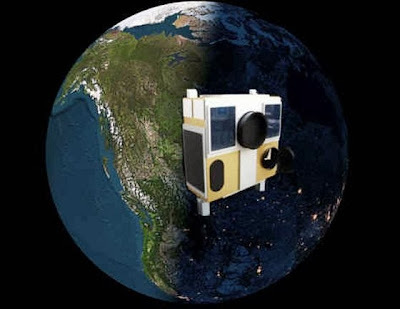 The cameras will be able to view a large band of the Earth between the latitudes of 51 degrees north (which passes through Calgary) and 51 degrees south, a little bit north of the southern tip of Chile and Argentina. The video camera is pointable, and customers will be able to use it to look at a particular spot on Earth for a fee. The company expects customers to include governments, non-governmental organizations and corporations that would like particular types of live and archival images for purposes such as monitoring the environment. As outlined in the June 10th, 2013 blog post "UrtheCast Proceeds with Takeover and Funding for ISS Camera's" the road to space for the scrappy start-up has been paved with creative funding and innovative business decisions. The company went public in June 2013 using a unique reverse takeover of Canadian mining company Longford Energy. As well, the cameras are being transported to the ISS by Roscosmos, the Russian space agency, in exchange for free access to expected Urthecast images. Once the cameras are aboard the ISS, the challenge becomes one of validating the business model. Will customers pay to obtain UrtheCast images? That question will be answered over the next few months so stay tuned. Millionaire space tourist Dennis Tito has flip-flopped on his plans for a privately-funded flyby mission to Mars in 2018 and is now asking NASA to fund it. On February 27th of this year, Tito announced the formation of Inspiration Mars (IM), a non-profit group dedicated to launching a space mission that would send a middle-aged couple on 501-day flyby of Mars and back. Initially, Tito had said that the mission would cost just under $1Bln USD and that he would finance the first two years of the program with roughly $300Mln USD from his own pocket. The remaining $700Mln USD was to have been raised via crowdsourcing and corporate sponsorships. From the outset, there was skepticism of the mission on several grounds. Some scientists said that the spacecraft design lacked adequate radiation shielding, posing dire risks for the crew. Others pointed out that the mission being limited to a flyby (precluding any serious science or commercial activity) would scare away investors. We propose to do this in collaboration with NASA, as a partner in a NASA mission, in the name of America, and for the good of humanity. The endeavor is not motivated by business desires, but to inspire Americans in a bold adventure in space that reinvigorates US space exploration. In fact, the capabilities developed through private funding will belong to NASA for this and future missions. This partnership is a new model for a space mission. It is not the model of traditional contracts or subsidies for vehicle developments, although those models are imbedded in the NASA programs to be leveraged for this unique mission. It is a philanthropic partnership with government to augment resources and achieve even greater goals than is possible otherwise. Tito’s testimony was essentially a re-branding exercise in which Inspiration Mars was transformed from a purely private venture into a public-private partnership. In making his case for government support of the mission, Tito recycled many of the same shop-worn arguments used by space advocates (with noticeable lack of success) over the past 40 years. These arguments included a plea “for the good of humanity,” motivation for youth to study STEM subjects and a dire warning that the US risked being left behind by other nations. In a media conference call after his hearing, Tito and IM’s CTO Rick MacCallum clarified their reason for requesting US government support. In essence, Tito admitted that IM’s mission costs would be higher than he had anticipated, even using private launchers. Dennis Tito’s flip-flop reiterates a simple, brutal truth to other would-be space pioneers that good intentions alone do not launch rockets. The Inspiration Mars approach is simply too large a leap given our current social and economic climate. The true path to space will involve an incremental buildup of infrastructure by private firms seeking to satisfy interested markets. When space becomes its own economy, the “good of humanity” will not be the initial driver, but the end result. 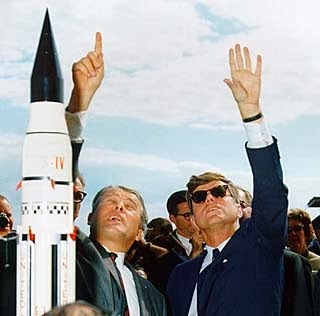 Wernher von Braun and John Kennedy in 1962. Photo c/o NASA. It's worth noting on the 50th anniversary of his assassination, that the 35th president of the United States chose to have his country go to the moon, and to this day, will always be remembered as one of the biggest political supporters of the American space program. Even before John. F. Kennedy worked in the oval office he had toiled for the creation of NASA as a senator, proposing space related programs to congress, his boldest plan being to land an American safely on the moon. It was with this dream, and from increasing Russian pressures, that Kennedy could justify the expenditure and resources invested in such a remarkable and challenging task. The space race had begun during Eisenhower’s time in office, and picked up after Russian cosmonaut, Yuri Gagarin, became the first person in space, in 1961. With this giant Russian leap forward in space exploration and technology, America could not stand to be left behind. It was Kennedy, in 1962, who claimed that this was a matter of prestige and status for America, whereby justifying the huge expenditure, which was close to $5.2Bln USD's at its peak in 1965, and $24Bln USD's for the overall Apollo project (1966-1972). "First, I believe that this nation should commit itself to achieving the goal, before this decade is out, of landing a man on the Moon and returning him safely to the Earth. No single space project in this period will be more impressive to mankind, or more important for the long-range exploration of space; and none will be so difficult or expensive to accomplish," he said, during a speech to a joint session of Congress in May 25th, 1961. Thanks to Kennedy’s space initiative, jobs in Florida, Texas, Mississippi and California flourished. Scientists across the nation became involved and comfortably employed, and in the early days of the project, in 1966, there were over 400,000 people working for, or alongside, NASA. Even though Kennedy did all he could to push his country ahead in space science and to a scientifically superior nation, today, 44 years after the space race has been won by the USA, the infrastructure, jobs, and administration at NASA have not changed very much. The substructure used to launch man to the moon has still not been fully dismantled, and was never intended to be used for anything else, resulting in wasted resources and funds. On top of this, the funding, and political support for NASA has faltered through the years, even though the aerospace industry is still dominant in the southern economy. The first men on the Moon. Astronaut Edwin Eugene "Buzz" Aldrin, photographed by astronaut Neil Armstrong in July 1969. Photo c/o NASA. Many people believe that certain aspects of Kennedy’s space initiative seem to consist of political tactics used by his Democratic party to gather exceptional support during elections. From the year 1960 and onward, it’s been observed that NASA initially set up shop in traditional republican areas, and the newly created jobs encouraged NASA employees to vote for the Democratic party. This method of targeting republican voters helped democratic candidates get elected through the promise of job security. Subsequent administrations have preserved these jobs, which added an extra layer of NASA bureaucracy over time, in order not to alienate voters. Because of these extra positions, the cost for NASA to launch rockets today is much higher than it should be, as there is more expenditure in salaries throughout the agency. Kennedy did not get to see the moon landing, as it happened 6 years after his assassination, but all his efforts and big dreams shaped one of the most advanced space programs the world has ever seen.